Join us at YOUR Rowan County Public Library on May 3 from 2-4 pm as we celebrate our 50-year anniversary as a lifelong learning partner in Rowan County. We will unveil a plaque honoring all past and present RCPL Board of Trustee members, welcome our new Executive Director Tim Gampp, and, say “Goodbye” to our retiring Executive Director Helen Williams. Be sure to tour the Library’s new bookmobile while you are here for the celebration. April 8-14 is National Library Week, an annual celebration of the life-changing work of libraries, librarians, and library workers. Libraries aren’t just places to borrow books or study—they’re creative and engaging community centers where people can collaborate using new technologies and developing their skills and passions. Libraries of all types have long been evolving to meet the needs of the communities they serve. Diverse groups including community organizations, small business owners, students, and families depend upon libraries and the resources they offer. Resources such as e-books and technology classes, materials for English-language learners, and programs and resources for job seekers are just a few ways libraries and librarians are transforming to lead their communities. Community members can also develop their own leadership skills at the library, with endless opportunity to build skills and confidence through resources and programming. YOUR Rowan County Public Library offers resources and programming for all age groups. The Library is available to everybody. It is the community place that levels the playing field for people of any age who seek information for lifelong learning. Wednesday, April 11, is National Bookmobile Day. Kentucky has the largest bookmobile fleet in the nation and we at RCPL are proud of Miss Donna and her provision of quality library service “on the road” throughout Rowan County. We invite you to be an active part of the National Library Week celebration. Stop in the Library and participate in our National Library Week Scavenger Hunt Checkout. To be entered in our NLW prize drawing, pick up your “Libraries Lead” bookmark and check out the items listed. International Children’s Book Day is April 2, celebrated on the birthday of Hans Christian Andersen (1805-1875), Danish storyteller and author who wrote the quotes above, “The Ugly Duckling,” “The Princess and the Pea,” and “The Little Mermaid” as well as “The Snow Queen” which was the basis for Disney’s Frozen. The International Board on Books for Young People (IBBY) began the celebration in 1967 to encourage reading and to promote the love of books for young children. Forming a network of people from all over the world, IBBY members are committed to bringing books and children together. The IBBY is a nonprofit organization whose mission in part is to promote international understanding through children’s books, to give children everywhere the opportunity to have access to books with high literary and artistic standards, and to protect and uphold the Rights of the Child according to the UN Convention on the Rights of the Child. How can you celebrate International Children’s Book Day? Wherever you are, read to a child; give a new book to each of your children; or, donate a book (perhaps your favorite childhood title) to your local library. For yourself, take just a moment out of your busy day to close your eyes and think about your favorite book from your childhood. Mine was a much worn paperback of fairy tales, including several written by Hans Christian Andersen. The cover was turquoise, and I read each tale over and over—and over. It was the only book I owned, and my only access to a library was one classroom trip a month to the tiny, one-room school library. Take a child to YOUR Rowan County Public Library to celebrate the Day. Our weekly After School Story Time is at 4 p.m. on Monday. Celebrate reading with a child every time you have an opportunity by taking advantage of happenings at the Library: Mother Goose Time on Tuesday mornings; After School Story Times on Monday and Thursday afternoons; the eight-week Summer Reading Program; and, special programs throughout the year—mark your calendar now for the Teddy Bear Picnic on April 21. Take a look at the colorful displays, the AWE computers, the children’s magazines available for checkout, the lists of “100 Books to Read Before Kindergarten,” and the “mini-zoo.” We have a celebration each time a child becomes an independent reader—after reading a children’s book to Miss Sandy, they receive a certificate, ring the Literacy Bell (very LOUDLY for everybody in the Library to hear! ), and have their picture made to be published in The Morehead News. If it’s spring, it’s time for the Traveling Tomato Show at YOUR Rowan County Public Library. Back by popular demand, Julie Maruskin will be presenting her program on heirloom seeds on Saturday, March 31, 2-4 p.m. in the Community Room. Learn to start tomato seeds and take home a free organic heirloom tomato seedling. Please stop by the Library or call 784-7137 and preregister for the program so we can have enough seedlings for everybody attending. Celebrate Women’s History Month at RCPL by checking out one of our featured books about the history of women in society and throughout the world! Book display located near the Genealogy Room. On behalf of the Rowan County Public Library Board of Trustees, I am excited to invite you to participate in the hiring process for the new RCPL Executive Director. As many of you know, Helen Williams, our outstanding Executive Director for the past 18 years, will soon be retiring. We are excited for her future endeavors but are sad and nervous to see her go. In an effort to find the most qualified and best-suited person to be the new Executive Director, the Board hired the Miller Consulting Group to assist in the process. The Executive Director position description was written, the position was advertised nationwide, and applications from several states were received. The Board met this week to review the applications, to select the top candidates, and to invite them for interviews. We are inviting you to assist with the selection of the next RCPL Executive Director. We are grateful for your ongoing support, and we value your opinions. Please join us on Wednesday, March 21, 4:15-5:15 p.m. for an opportunity to “meet and greet” our top candidates. They will share their visions for YOUR Library’s future, respond to your questions, and listen to your suggestions. Refreshments will be served, and a very brief survey will be distributed for your written comments. The Board and Library staff are excited about your meeting the Executive Director candidates. The Board members are eager to receive your input as they make this important decision. We look forward to seeing you next Wednesday. While talking with one of our Library patrons a few days ago, I was reminded that my staff and I too often fail to remember that people truly are “creatures of habit.” So many times people have told me, “I use the Library all the time, but I didn’t realize you had ­­­­­­___________” (you fill in the blank). If you come to the Library for books, you go directly to the books; if you use the Library for DVDs, you go directly to the DVDs; if you use the Library’s computers, you go directly to the computers, and so on. The person I was talking with shared that they check out books “all the time.” So I asked if they had considered borrowing a preloaded Kindle—maybe one with best sellers on it, or, if they had “read” a Playaway. No, they had not. Just in case you haven’t “read” a good Playaway lately, let me tell you what you are missing. According to the folks at Findaway, a “Playaway is the simplest way to listen to an audiobook. Unlike CDs, Playaways do not need a separate player. Playaways are pre-loaded and ready to use.” Each tiny Playaway holds an entire book, is powered by an AAA battery (included in the case), and works with almost any headphone (also included in the case). You can select from five narration speeds and set the volume. The device remembers where you stopped listening and bookmarks it automatically, and, it weighs only 2 ounces. The Playaway lets you “read” wherever you are—walking, hiking, sitting in a waiting room, working out at the gym, and even driving. 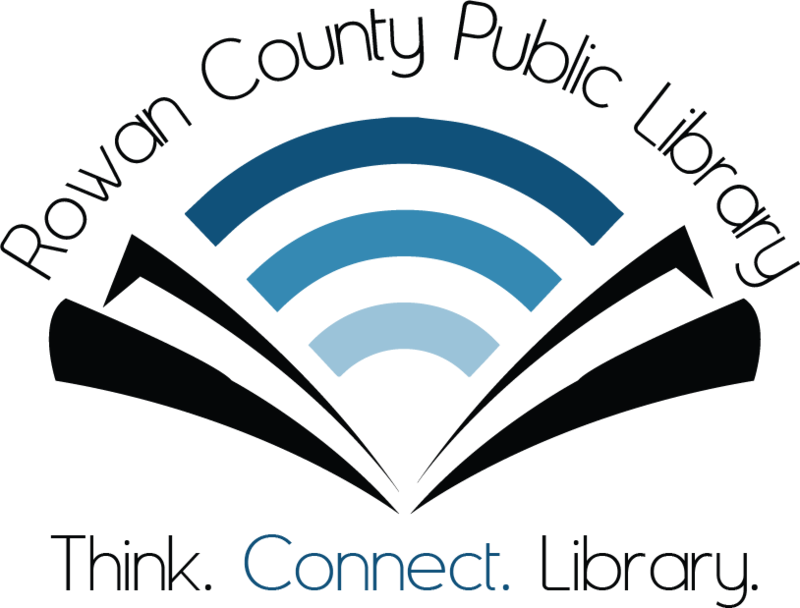 YOUR Rowan County Public Library has Playaway collections for adults, young adults, and juvenile readers. Our younger readers like to listen to the Playaway and follow along with the actual book—a great way to develop reading skills and an excellent aid to folks whose first language is not English. If you go to rowancountylibrary.org and search the word “Playaway,” the result will be 130 screens of titles! You may choose from: fiction, nonfiction, or biographies; bestsellers; classics; series; favorite authors, and various genres. If we don’t have a title you want, place a request for the title on Playaway in the suggestion box; if it is available in Playaway format, we will order it. Can you believe it? We have two full moons in March after just having two full moons in January—the only times in 2018 that we will experience two full moons in one month. A full moon, when the side of the moon that faces the earth is fully illuminated, occurs when the moon is on the opposite side of the earth from the sun—about every 29.5 days. The first full moon this month was March 1 and was called a “full worm moon” by Native Americans according to the Old Farmer’s Almanac (because the ground begins to soften enough for earthworms to appear, thus inviting the robins –a true sign of spring). When we experience two full moons in one month, the second full moon is called a “blue moon,” not a common event, hence the expression “once in a blue moon” for something that doesn’t happen often. There will be no more blue moons in 2018. Theodore Seuss Geisel, known to us as Dr. Seuss, was born on March 2, 1904. Come celebrate his 114th birthday with us at the Rowan County Public Library. Our Annual Dr. Seuss Night is Thursday, March 1, at 6 p.m. and Library staff members have planned a fun evening of games, prizes, and refreshments. SEUSS’S ALL ABOARD THE CIRCUS MCGURKUS! BROWN CAN MOO! CAN YOU? WHAT PET SHOUD I GET? SEUSS’ HORTON HEARS A WHO!